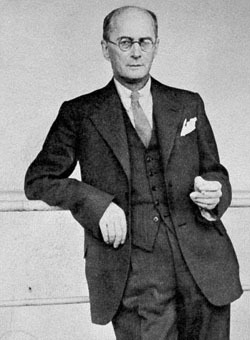 British anthropologist Bronislaw Malinowski is remembered as the father of the functionalist school of anthropology as well as for his role in developing the methods and the primacy of anthropological fieldwork. Malinowski first rose to prominent notice through his studies of Pacific Islanders, especially those conducted among the Trobriand Islanders whose marriage, trade, and religious customs he studied extensively. His best known works include his classic book Argonauts of the Western Pacific (1922) as well as Crime and Custom in Savage Society (1926), The Sexual Life of Savages in North-Western Melanesia (1929), and the posthumously published Magic, Science, and Religion and Other Essays (1948). Malinowski helped develop the field of anthropology from a primarily evolutionary focus into sociological and psychological fields of enquiry. Some of the more noteworthy byproducts of his fieldwork in this direction was various evidence that debunked the Freudian notion of a universal Oedipal Complex and also showed that so-called primitive peoples are capable of the same types and levels of cognitive reasoning as those from more "advanced" societies. Malinowski's ideas and methodologies came to be widely embraced by the Boasian influenced school of American Anthropology, making him one of the most influential anthropologists of the 20th century. Bronislaw Kasper Malinowski was born in Poland on April 7, 1884. His father, a professor of Slavic philology at Jagellonian University and a linguist and folklorist of some reputation, was descended of Polish nobility. His mother was from a cultured landowning family and an accomplished linguist in her own right. He was frail, often sickly in his childhood, and thus at various intervals during his attendance of Kraców's King John Sobieski public school and, later, university, he was forced to slow down and take time off for the sake of his health. It was during one such period at Jagiellonian University that he discovered Sir James Frazer's mighty work The Golden Bough, an event which whetted his curiosity about primitive peoples and about human cultures and society. Thus it was that he began to broaden his focus from his original passion for mathematics and physics to the fields of philosophy and psychology. Meanwhile, despite the setbacks created by his health, he managed to obtain his PhD in Philosophy, Physics and Mathematics in 1908, graduating Sub auspiciis Imperatoris, the highest honor in the Austro-Hungarian Empire. Soon after, he resumed study at Leipzig University in Germany, focusing on physical chemistry, where he also came under the considerable influence of philosopher/psychology pioneer Wilhelm Wundt – who would similarly influence French sociologist Émile Durkheim. In 1910, using a stipend to train as a university teacher, Malinowski traveled to London where he spent significant time doing research at the British Museum. He studied at the London School of Economics, under Edvard Westermarck, and received his DSc in 1913, and his PhD in Science in 1916. In the meantime he had begun his early field expeditions, traveling to New Guinea, Australia, and various parts of Melanesia. And it was during this period that he began his signature work among the Trobriand Islanders, studying kinship, trade, the practical purposes of ritual and religion, as well as the intersection between cultural ideals and actual daily behaviors. Although Malinowski did not wholly "invent" fieldwork, his careful studies, and the brilliant observations which they then allowed him to make, did much to popularize and revolutionize its importance. His influential writings, and his charisma as lecturer and teacher help magnetize many to his way of working. Like his American counterpart Franz Boas, Malinowski vigorously emphasized the importance of immersing oneself deeply in the indigenous language or languages. But perhaps more than any other researcher before him, Malinowski embraced the value of studying everyday life in all its mundane aspects. Thus for him it was not enough to simply record what tribal members said about their religious beliefs, sexual practices, marriage customs, or trade relationships – it was important to also studying how this measured up to, or played out in, what they did in every day life. Naturally this approach revealed a wealth of subtle nuances about cultural values. But in addition it revealed a great deal about the psychology of the people under study. And the great significance of this fact is that -- as he and his students continued to painstakingly amass information from a variety of tribal societies -- it became clear that the sweeping generalizations made by the so-called "arm chair" anthropologists of the past (Lewis Henry Morgan, Sir James Frazer, etc.) had been wrong in many ways. Most notably, the new work showed that the Social Darwinist claims that all societies passed through the same distinct and predictable stages, in the same predictable order, along a single linear trajectory were simply false. Societies varied in far more complicated and hard to predict, or understand, ways than the old linear model had predicted – and the wealth of diversity was far greater than previously imagined. Moreover, Malinowski discovered through his work that the so-called "superstitious savages" were actually far more rational and pragmatic than white colonialists and missionaries had given them credit for. For example, tribal marriage and religious practices, no matter how strange or exotic, revealed themselves to be an integral part of the healthy functioning of the community, playing vital roles in trade, community cohesion, and social stability. Even "magic rituals", once derided as the height of ignorance and irrationality, were from Malinowski's functionalist viewpoint, highly sensible and effective. It became apparent for example, that when Trobriand Islanders went fishing in a lagoon, it was a straightforward matter. But when they had to go beyond the reefs, out into the deep ocean -- with all the vagaries and dangers of accidental injury, freak waves and sudden storms, as well as sharks, unpredictable hauls, and other difficulties – they then resorted to magic ritual to help them assuage their fear and get on with the job required of them. To Malinowski, it mattered not that such rituals had no basis in science (that they would not actually calm waves or ensure a worthwhile catch); what mattered was that they empowered the islanders to do what needed to be done – in a situation where events were beyond their material control. Thus they maintained the psychological well being of tribal members, and allowed members to better participate in the necessary social and economic functions of the community. But the genius of Malinowski was to perceive, and substantiate, the fact that the mind of the "primitive" man was essentially no different than that of "civilized" peoples. That is, although beliefs, motives, and emotional responses to situations might vary markedly from one culture to the next (a fact which would disprove the universality of Freud's Oedipal Complex), the ability of the mind to perceive and process information and to formulate creative, intelligent responses was the same regardless of race or culture. And in fact, we can even see echoes of tribal "magic rituals" in our own modern society. For example, many individuals, overwhelmed with the challenges of hazardous professions or devastating trauma or abuse find relief through rituals of "positive visualization" in which they imagine the successful conclusion or resolution to their challenges and/or imagine themselves surrounded supportive individuals and unconditional love. This interior reordering of the perceived universe allows them to get on with whatever business is at hand and contribute productively to society. But despite all of these contributions and their considerable scientific influence and ramifications, Malinowski is primarily acknowledged as the father of that branch of anthropology called functionalism. Functionalism, which is based on the notion that all the parts of the society work together an integrated whole, can be readily contrasted to the structuralism of Émile Durkheim and the structure-functionalism of Radcliffe-Brown – each of which place more emphasis on society as a whole, and the ways that its institutions serve and maintain it. Malinowski meanwhile placed greater emphasis on the actions of the individual: how the individual's needs were served by society's institutions, customary practices and beliefs, and how the psychology of those individuals might lead them to generate change. Interestingly enough, in addition to his writings, lectures, and mentorship, a great deal of Malinowski's influence was derived from his uneasy partnership with Radcliffe-Brown. Despite their stormy personal relationships and rivalry, they were united in common cause to topple the bigotry and erroneous theories of the old social evolutionary school of anthropology, and to magnetize young researchers to their vision, building a new British school of Anthropology that was strongly flavored by their own ideas and approach. Ironically, many of Malinowski's theories and methodologies, most especially the emphasis on fieldwork and on submersion into the particulars of daily life, would come to be wholly adopted by American anthropology (due in part to the groundwork laid by Franz Boas). While meanwhile, much of the social anthropology that had once characterized the American school -- an abstracted and philosophical approach with the tendency to look for grand laws and impersonal dynamics -- would be characteristic of later British anthropology. In part this was because of the eclipsing influence of Radcliffe-Brown, whose students tended to be more focused on social institutions, their development and interaction. Some of Malinowski's ability to pollinate American academia can also be attributed to his close relationship as visiting lecturer to such eminent and influential institutions as Cornell, Harvard, and Yale. In the last years of his life, Malinowski continued to travel, despite an ongoing battle with Tuberculosis. In 1938, a few years after the death of his wife, he traveled to the U.S. to seek the therapeutic climate of the American Southwest, and became forced, by the advent of WWII in Europe, to settle "temporarily" in the U.S. He took up a professorship at Yale, and died in New Haven, Connecticut in May of 1942.